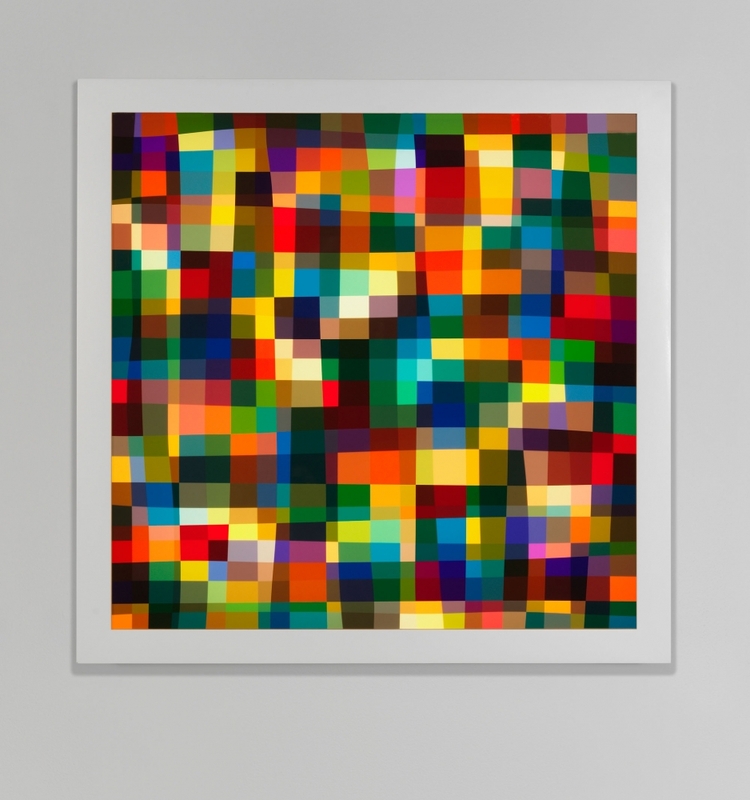 Spencer Finch, Color Test (600), 2013, Lightbox, 30 x 30 x 4.5 inches. What is the color of the threshold - of that liminal space before day plunges into night? 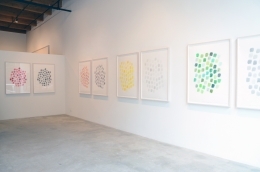 Spencer Finch attempts to answer this question through his most recent body of work created specifically for Study for Disappearance, his fourth solo exhibition at Rhona Hoffman Gallery. Each watercolor diptych in this new series individually renders violet, blue, green, yellow, orange, and red as they appear on objects in his Brooklyn studio. 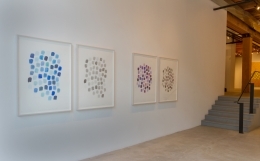 On one side of each diptych, Finch has labeled the swatches of varying hues of a single color according to the object that bears them: “candle,” “brick sample (Baltimore),” and “bull-fighting poster” to name a few. This study is paired with that of the identical collection of objects observed as the colors shift to grayscale with the dimming daylight. Slowing down the viewer’s process of seeing, Finch guides us through the nuances of the fading light and the stages of visual perception. Accompanying the watercolor diptychs is a new light box piece, Color Test (600), comprised of various multicolored squares layered together to create an abstract study of darkness. The ephemeral light of dusk is a seductive territory for Finch and such fleeting scenarios fuel his artistic process. Artworks such as the light installations West (Sunset in My Motel Room, Monument Valley, January 26, 2007, 5:36 – 6:06 PM) and Dusk (Hudson River Valley, October 30, 2005) have transported the light quality of a specific place during that transitory magic hour to the setting of art galleries and museums worldwide. Once again, for Study for Disappearance, Finch has succeeded in blending scientific method with a poetic sensibility to both record the light and color of the physical world and simultaneously explore the intangible and ethereal essence of a place. 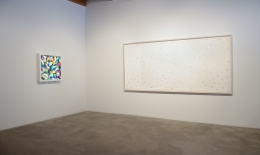 This time, Finch generously offers an intimate look at the enchanted and often confidential space of the artist’s studio. 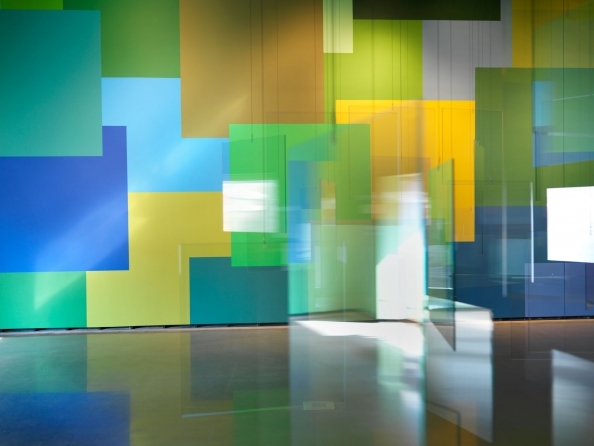 Spencer Finch was born in New Haven, Connecticut, in 1962. 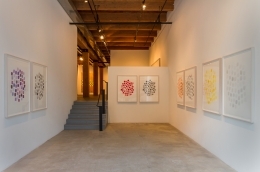 Recent solo exhibitions and commissions include: Following Nature, Indianapolis Museum of Art, Indianapolis, IN (2013); Painting Air, Rhode Island School of Design Museum of Art, Providence, RI (2012); Lunar, The Art Institute of Chicago, Chicago, Between the light - and me, Emily Dickinson Museum, Amherst, MA (2011); My Business, With the Cloud, Corcoran Gallery of Art, Washington, DC, Between The Moon and The Sea, Frac des Pays de la Loire, Carquefou, France (2010); and As if the sea should part and show a further sea, Queensland Gallery of Modern Art, Brisbane, Australia (2009). Upcoming museum exhibitions include an off-site project with the San Francisco Museum of Modern Art, San Francisco, CA in November 2013, and a new commission for Turner Contemporary, Margate, England in 2014.